Featured content includes interviews with a broad mix of successful entrepreneurs including Lisa Price, founder and CEO of Carol’s Daughter, a line of skincare products, body and bath scrubs, moisturizes and cleansers and hair care products all made from natural oils and fragrances. “Being an entrepreneur is one of the best journeys one can take. It requires passion, belief, faith and spirit. I have become a much stronger person through building my business than I would have building someone else’s,â€ says Price. Carol’s Daughter is a natural beauty and hair care line founded in 1993 by the Brooklyn, New York native. The company is lovingly named after her mother. Record executive Steve Stoute was the lead investor who reportedly raised $10 million to back the venture. Other investors include Will and Jada Pinkett-Smith, and Mary J. Blige. Price, 49, transformed her hobby of mixing fragrances at home, selling natural beauty products from her living room, into a beauty empire. 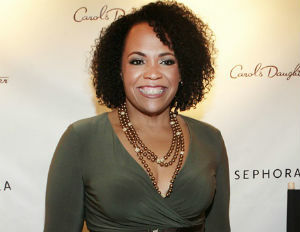 Today, her beauty brand is a reportedly $50 million company whose products are sold in more than 1,000 locations including Carol’s Daughter stores, Macy’s, Sephora and HSN. Being courageous as an entrepreneur means standing in the face of fear and moving forward. “Confidence is something that you build over time,â€ adds Price, who graced the cover of the 2013 January/February issue of Black Enterprise, as part of a special report on the business of natural hair.